Indigestion or dyspepsia is the more or less habitual incapacity to digest foods well. Indigestion takes place in a slow and heavy way and comes accompanied from other symptoms that indicate the digestive system is not working properly. In dyspepsia, poor digestion occurs as a recurring phenomenon that appears with some frequency usually over a minimum period of three months. Indigestion occurs occasionally, usually lasts a short time and then disappears. 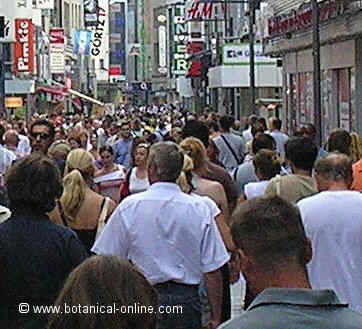 Crowded big cities can create anxiety which can affect stomach health. Diseases of the digestive system: digestive system diseases usually manifest as indigestion. Among these we point out: diseases of the gallbladder and the pancreas, gallstones, gastric ulcer, duodenal ulcer, gastritis, pancreatic cancer, stomach cancer, etc. One of the most common problems that causes poor digestion is the presence of ulcers in the stomach which usually manifest themselves in symptoms as gases and feeling of fullness after eating, or other negative symptoms that usually disappear with the ingestion of food or antacids. In addition to this cause, one of the most common is reflux of acid into the esophagus, causing irritation in this part of the digestive tract that usually appear as usual acidity. This type of problem is known as heartburn and affects a large number of people, especially the in Western world. Sometimes indigestion occurs simply by having a very sensitive stomach. Often the lack of gastric juice is the reason why digestion becomes longer and heavier. Other diseases: Other diseases, as diabetes or thyroid problems (hyperthyroidism or hypothyroidism) can produce the same result. Bad nourishing habits: An inadequate diet, high in fats or very heavy foods, inadequate intake of vegetables, the habit of eating too fast, too rich foods, drinking beverages with alcohol, carbonated drinks, etc. are factors that become responsible in many cases of indigestion. Food intolerance: Not welltolerated food intake can be responsible for continuing dyspepsia in some people. WHY DOES MILK UPSETS MOST ADULT STOMACHS? Milk is a a food that typically produce bad reactions in addult people, who do not tolerate it very well. The reason is that, after a certain age, there is a decrease of an enzyme called lactase which is needed to digest lactose. Unable to be digested, milk produces many stomach suffers indigestion problems, accompanied by bloating, heartburn, presence of gas and diarrheas. 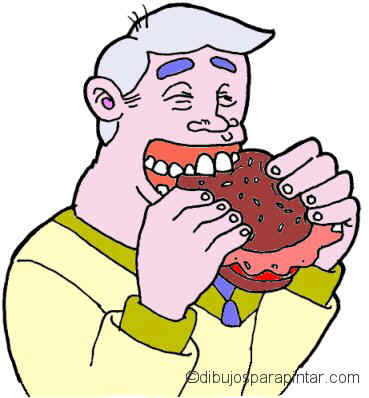 Food Incompatibilities: The bad combination of foods is one of the main causes of indigestion. Ingestion of drugs or other toxic substances: The use of certain medications predisposes to indigestion. The stomach is particularly sensitive to certain medications such as those containing salicylic acid, antidepressants, corticosteroids, antiinflammatory drugs (NSAIDs), etc. The use of certain toxic substances such as tobacco, can produce the same consequences. Psychological causes: Stress, nervousness, anxiety or other emotional or personal problems such as poor relationships with friends, problems at work, family disputes, etc., can cause indigestion. Make efforts or sudden movements after meals, exercises or sudden movements, heavy physical work or activities carried out immediately after eating, can cause problems of poor digestion of food. Unknown Cause: This type is called functional dyspepsia, affects many people with bad digestion, usually without knowing exactly the cause that produces it. Reduce emotional problems: Reducing problems that may affect the emotional stability is a way to avoid many problems of the stomach, an organ that is sensitive to personal problems. Certain issues, such as nervousness or stress, depression or problems at work are reflected in the stomach that suffers the consequences. Rest a while after dinner: This is a great way to relax and let the stomach the energy available for proper digestion. Physical activity must be avoided or hard work for a while. It is not advisable to sleep without restraint in bed after eating because your stomach can not digest the food properly. It is better to have a short nap on the sofa or on armchair. Do not eat between meals to leave your stomach rest properly. Taking medication with a full stomach: We will avoid those medications that can cause indigestion. If there is need to take them, we should take them with our stomachs full. Do not abuse of antacids, its overuse can cause an increase in digestive problems. They can cause more acidity, or alter the intestinal balance producing constipation and may affect the health of the kidneys leading to the development of gallstones. Take care of the diet, avoiding foods that are generally poorly digested, those that can lead to incompatibilities or food intolerances. Dispense coffee, alcohol and tobacco. Do not abuse spices, highfat foods or those containing an excess of fiber. More information on indigestion and its natural treatment.